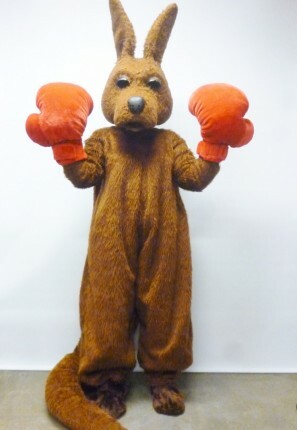 Full fur boxing Kangaroo mascot costume available to hire. Perfect for your Australian party theme. 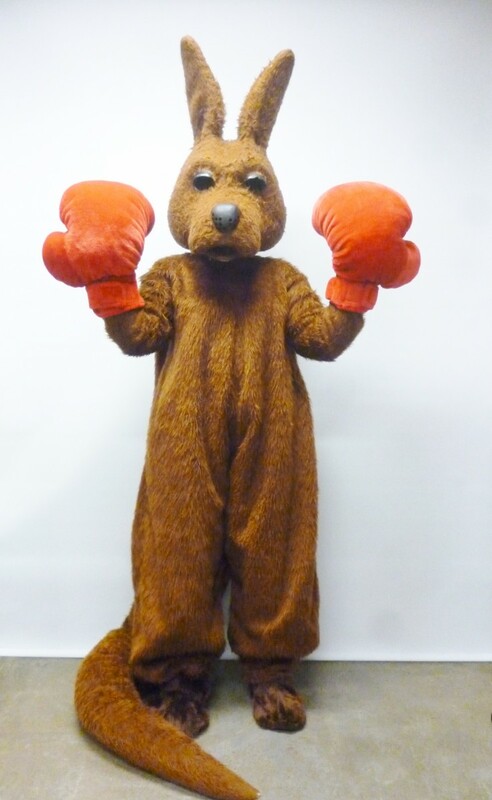 Costume consists of brown fur body with attached tail, separate head, feet, and fur hands or red boxing gloves.